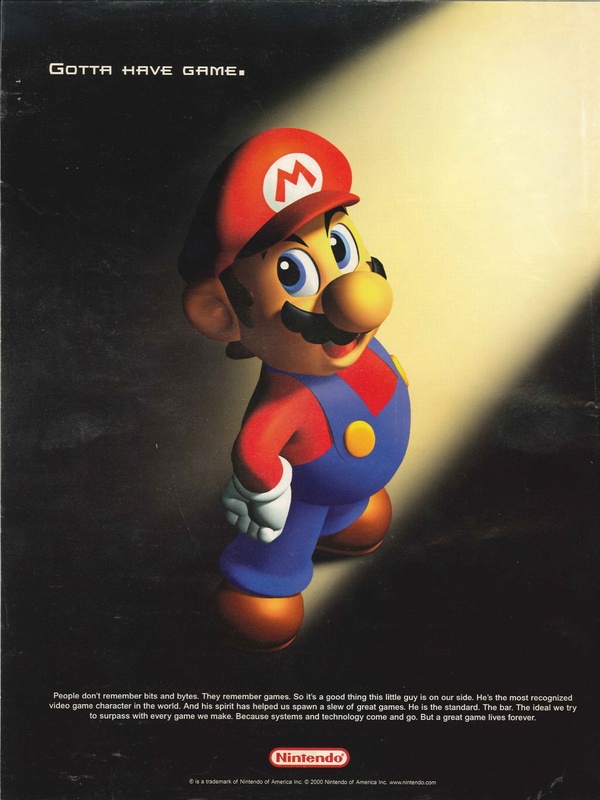 As a follow-up to my previous E3 scan, here’s some subtle marketing Nintendo spread around E3 2001, again, on the back of the E3 Show Daily magazines. Checkout the “interesting” front covers, too, and maybe you’ll question how there could be any excitement for such an unappealing video game industry at the time (as presented by the magazine). “Doug Lowensteins’ State of the Industry 2000-2001 Report: IDSA findings indicate games are fully mainstream…” Yes!…? Wait, is that really a good thing or a bad thing? Oh hey, guess what folks? The ‘true’ next-generation game systems arrived last month, but unlike most people who are absolutely convinced these are the best systems EVAH, I’m going to put out some more depressing realities that we could face. After all, didn’t you all like my last one? 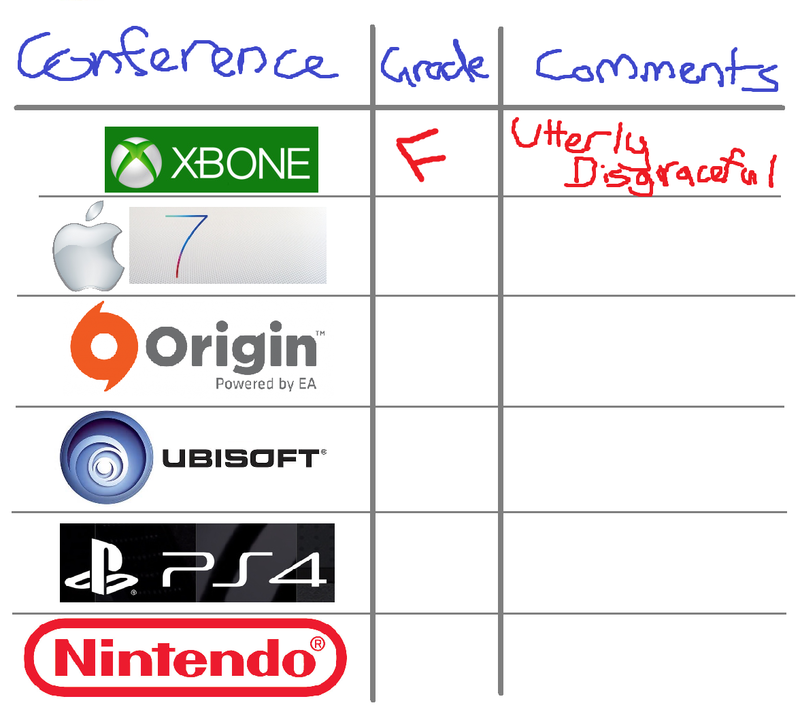 Get ready for E3 with your commemorative report card! I’ve taken the liberty of filling out the first conference for you since everyone will be watching Apple @ WWDC. Over the next two days fill out your cards and post them here and on the social medias or print a copy out to put on the fridge! Conference Times in cities worth caring about after the jump. but a departing statement from Hiroshi Yamauchi just before he retired (maybe). Almost 13 years later (that’s more than TWO Wii generations duct-taped together), does it still apply today? Gameplay advice, on your GamePad.